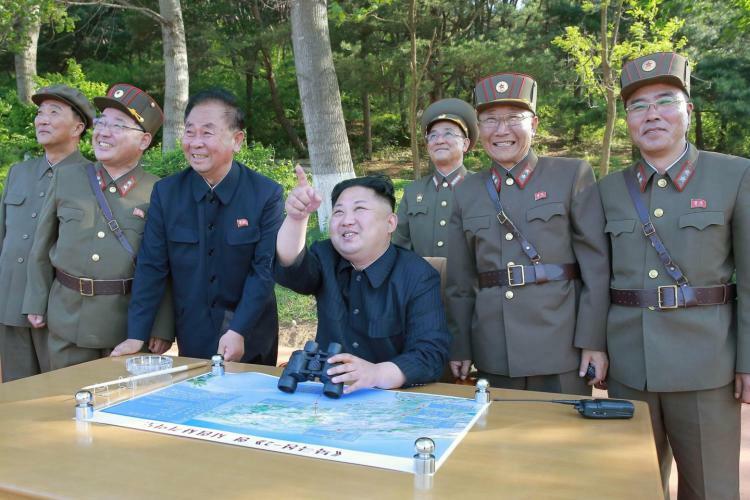 North Korea has reportedly fired a missile experts say is capable of striking Los Angeles and other US cities. Friday's unusual late-night launch added to exasperation in Washington, Seoul and Tokyo over Pyongyang's continuing development of nuclear weapons and intercontinental ballistic missiles. The test has prompted US and South Korean military officials to discuss military response options. North Korean President Kim Jong Un had already raised alarms early this month with a first ICBM launch. "As a result of their launches of ICBM-level missiles, this clearly shows the threat to our nation's safety is severe and real," said Japanese Prime Minister Shinzo Abe, who planned to call a meeting of his National Security Council. US Joint Chiefs of Staff Chairman Joseph Dunford and Admiral Harry Harris, commander of US Pacific Command, spoke by phone with top South Korean official, General Lee Sun-jin, to discuss military responses to the launch. The Trump administration has said all options are on the table but it has also made it clear diplomacy and sanctions are preferred. Following a meeting of South Korea's National Security Council, South Korean President Moon Jae-in said he wanted the UN Security Council to discuss new and stronger sanctions against the North. Later the United States and South Korea conducted a live-fire ballistic missile exercise showing their capabilities for a "precise strike on the enemy's leadership", Yonhap reported. The launch from North Korea's northern Jangang province took place at 11.41 pm local time, an official at South Korea's Office of the Joint Chiefs of Staff said. Japanese Chief Cabinet Secretary Yoshihide Suga said the missile flew for about 45 minutes before apparently landing in the waters of Japan's exclusive economic zone. Japanese broadcaster NHK, citing a military official, said the missile reached an altitude of more than 3000 km. 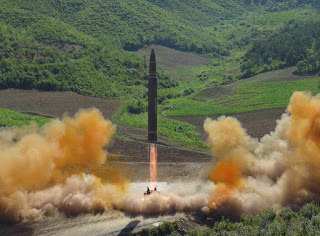 The South Korean military said the missile was believed to be an ICBM-class, flying more than 1000 km and reaching an altitude of 3700 km. In Washington, the Pentagon also said it had assessed the missile was an ICBM. US officials said the Defense Intelligence Agency, the Pentagon spy agency, has determined North Korea will be able to field a reliable nuclear-capable ICBM by next year, earlier than previously thought. 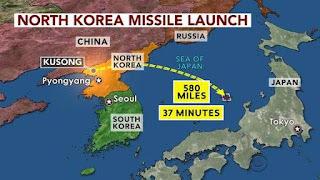 Jeffrey Lewis of the California-based Middlebury Institute of International Studies said the launch showed Los Angeles was within range of a North Korean missile, with Chicago, New York and Washington, just out of reach. 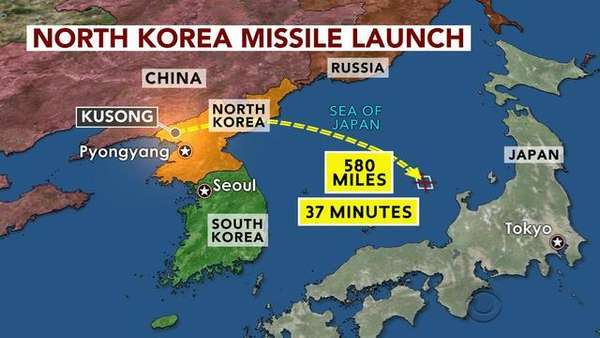 The US-based Union of Concerned Scientists said its calculations showed the missile could have been capable of going as far into the United States as Denver and Chicago. Los Angeles would be protected by the US missile defence network, which includes four ground-based interceptors at Vandenberg Air Force base, and a second battery of 32 missiles in Alaska.